MSLO launches a new tablet edition for Whole Living, and updates it two other magazine apps; print subscribers can now access the digital issues free of charge - Hi, friend Review Technology, in this article entitled MSLO launches a new tablet edition for Whole Living, and updates it two other magazine apps; print subscribers can now access the digital issues free of charge, we have prepared this article well and concise to be easy to understand for you to read and can be taken inside information. hopefully the contents of the post Article Magazines, Article Tablet Edition, that we write this you can understand and useful. okay, happy reading. A new tablet edition has been launched by Martha Stewart Living Omnimedia (MSLO) for its title Whole Living. Whole Living Magazine joins Martha Stewart Everyday Food Magazine and Martha Stewart Living inside Apple's Newsstand. All three tablet editions now offer print subscribers free access to the digital editions by signing into their accounts – the one big complaint previously voiced about the older apps. The two other apps have also been updated to add in support for the higher resolution display of the new iPad. 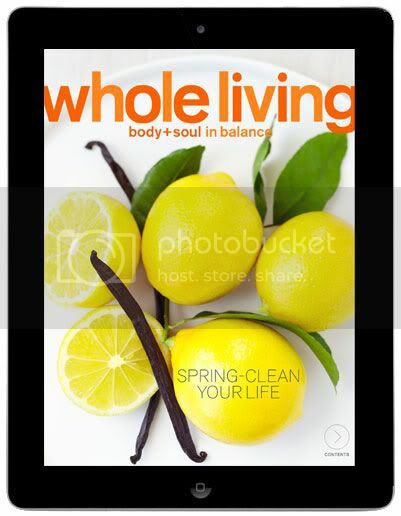 Single issues of Whole Living cost $3.99, but a monthly subscription is available for $1.99 per month. A 6-month subscription costs $8.99, while an annual subscription is priced at $12.99. The only issue currently available inside the new app is the May issue which weighs in at 358 MB. It is a fairly slow download. The May issue can only be read in portrait, but the animation found inside the issue accounts for its size. 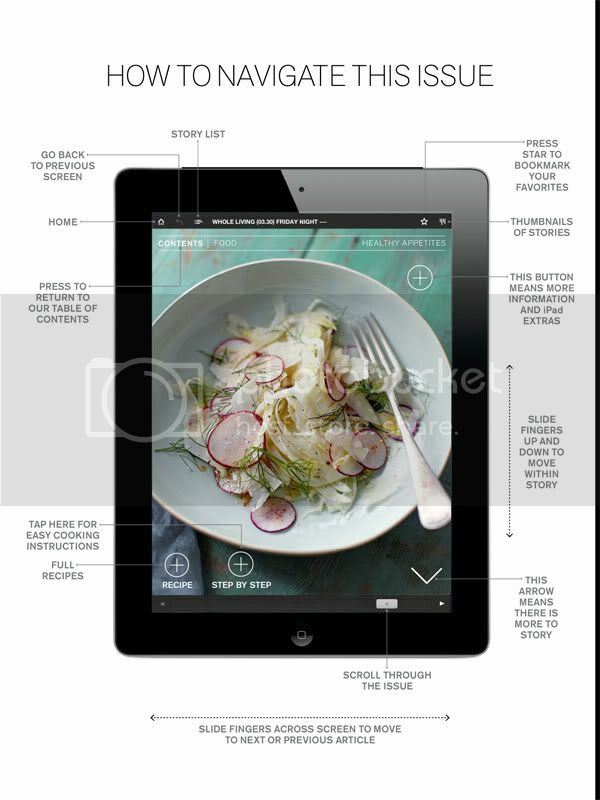 Although this app does not utilize any video content in its cooking stories, it does do a great job of handling recipes and step-by-step cooking instructions by embedded links. 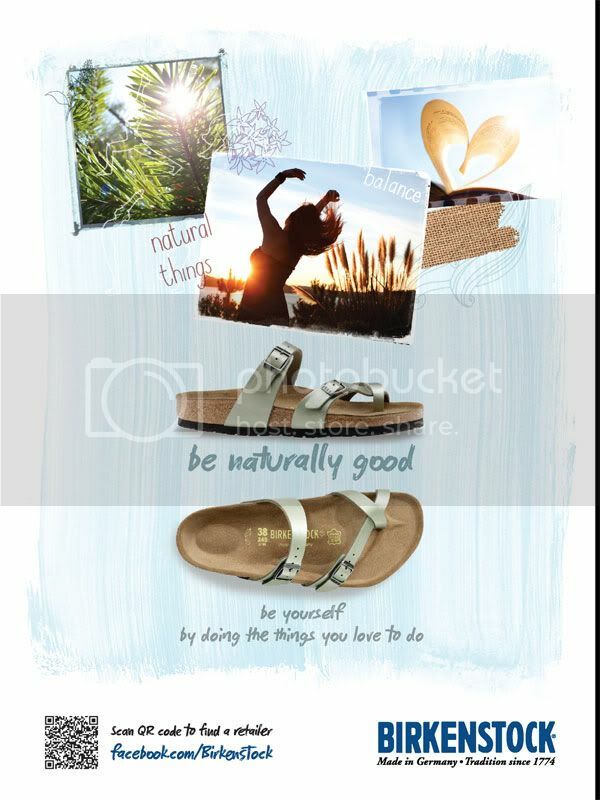 It is very well designed and is easy to navigate. It might actually be a bit too easy to navigate as I found myself bypassing many of the ads in the magazine by using the well designed table of contents. There aren't many reviews inside the App Store at this point, the app being so new, but they are all positive. The two previous apps were often downgraded because they required print subscribers to pay for the digital issues. That issue has been solved, but now a few reviews have complained about bugs and crashes on those apps. I encountered no such problems with this new Whole Living app and would expect readers to be very satisfied with this new tablet edition. Thank You and Good article MSLO launches a new tablet edition for Whole Living, and updates it two other magazine apps; print subscribers can now access the digital issues free of charge this time, hopefully can benefit for you all. see you in other article postings.